Floaters and flashes are a common problem the majority of the population will suffer at some point in their lives. Generally, they are completely normal and a part of the natural aging process. But on rare occasions they can be a warning sign for a vision-threatening condition—retinal detachment. 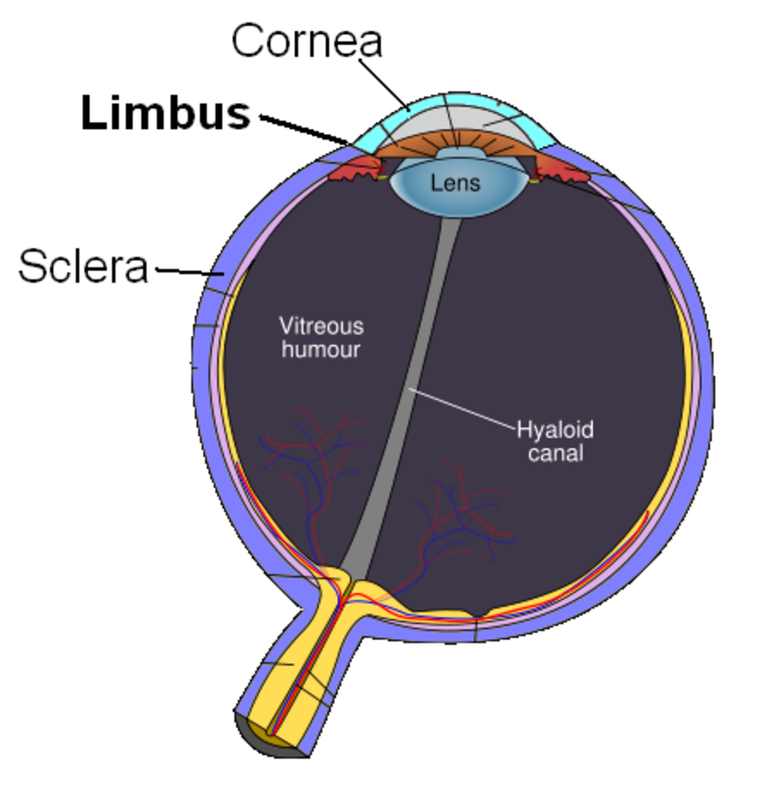 The vitreous is a gel-like fluid in the back of the eye, behind the iris and lens. It gives the eye its rigidity and keeps the retina pressed against the back wall of the eye. The vitreous is attached to the retina in two places: the optic nerve and the ora seratta, but it may stick to the retina in other places, as well. The vitreous gets its consistency from being 99% water. The other components are vitrosin (a type of collagen), phagocytes, hyalocytes of Balazs and hyaluronic acid. 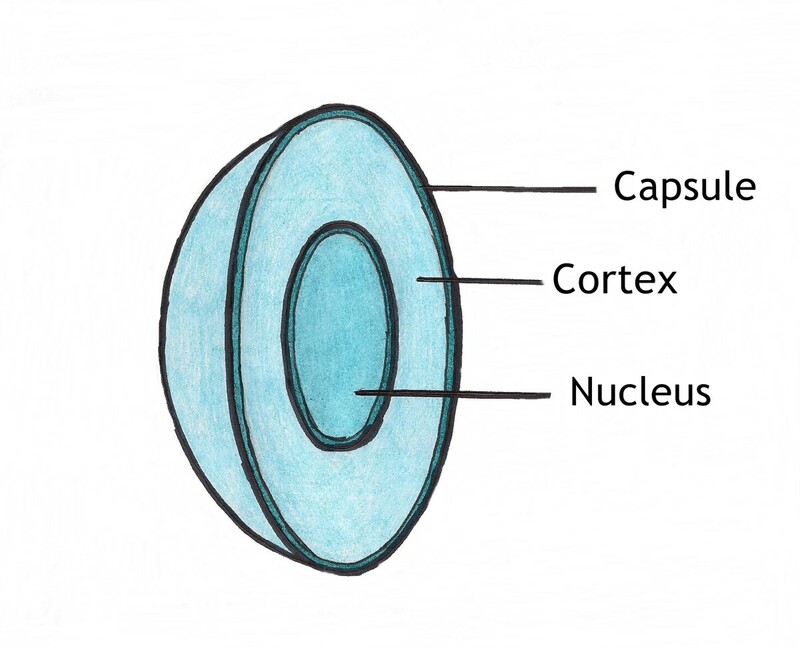 Phagocytes are white blood cells (part of the immune system) that clean the vitreous of any foreign debris, and the hyalocytes of Balazs recycle the hyaluronic acid. There are no blood vessels feeding the vitreous. All blood vessels in the back of the eye are contained within the retina. As we age, the vitreous liquefies and loses its gelatinous consistency due to the break down of the vitrosin (collagen) and the hyaluronic acid. 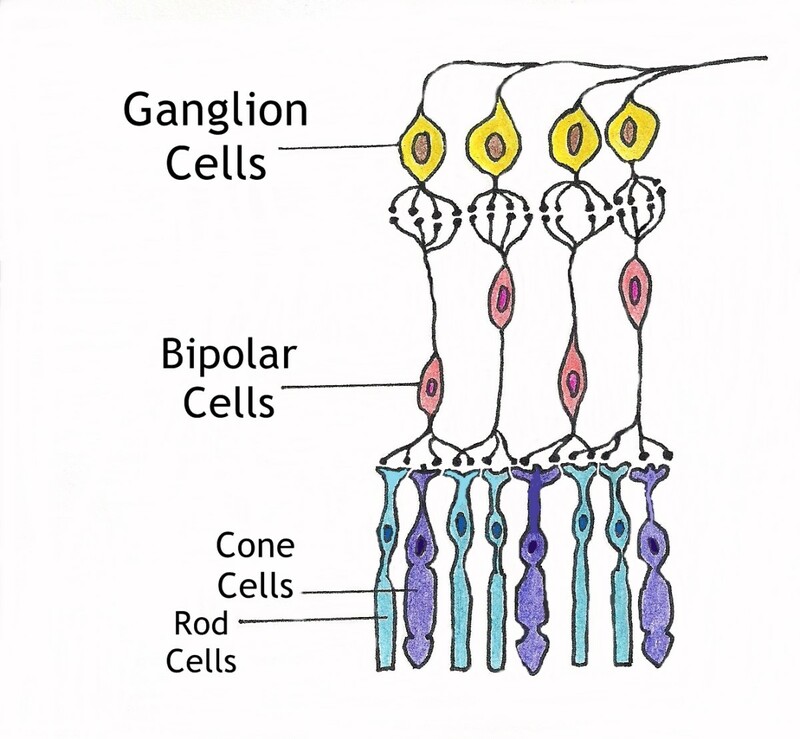 When the collagen breaks down, it sometimes forms chunks in the form of strings, worms, blobs, cobwebs and other shapes that float in the watery vitreous. These “floaters” can be annoying, obstruct the vision, and are most noticeable against a white or solid background like the sky. They are sometimes accompanied by flashes of light, resembling a camera flash, in the periphery of the vision. These flashes are caused by the vitreous collapsing and tugging at the retina, which causes the nerves to fire, registering a flash of light in the brain. This collapse is called a posterior vitreous detachment. 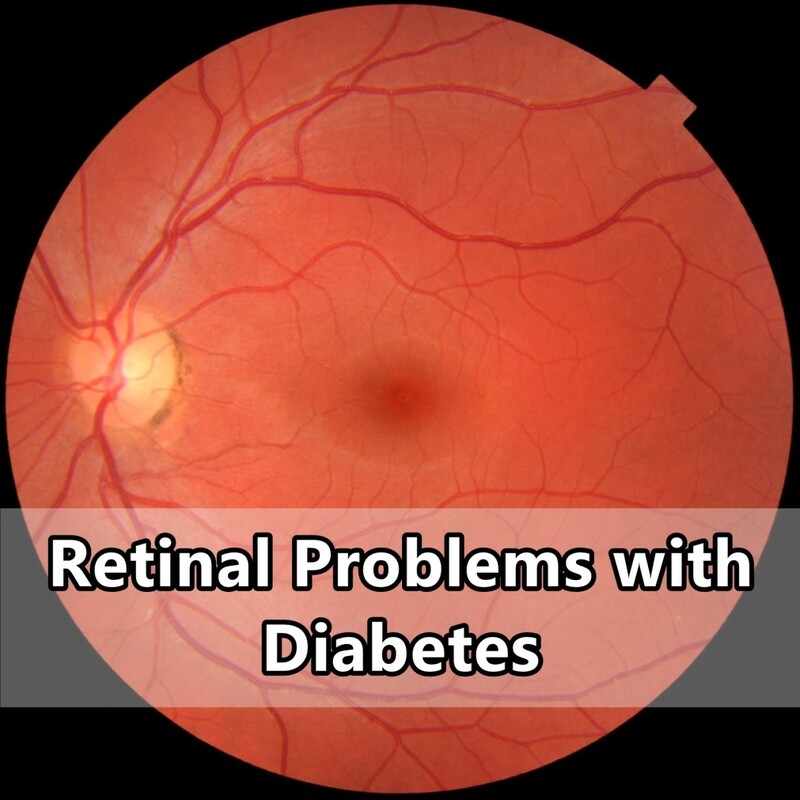 Occasionally, the vitreous can pull too hard on the retina and cause it to rip, leading to a retinal tear. These tears, if not treated, will allow fluid to build up underneath the retina (the typical immune response to injury) and create a retinal detachment. Flashing lights and floaters do not necessarily mean you have a retinal detachment, and can often be mistaken with an ocular migraine. If you have these symptoms, you should see your ophthalmologist as soon as possible. The ophthalmologist will be able to catch a retinal tear before you can see it in your vision. Do you, or someone you know, have floaters and flashes? Do I have what now? I just got my first floater! There are two treatments currently available for floaters. 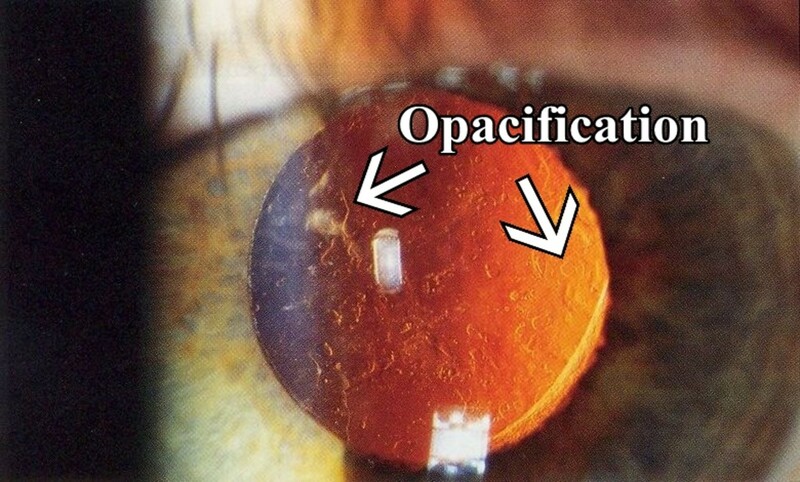 The first is a vitrectomy. This procedure is done on patients who have a retinal detachment, or large floaters that completely obstruct a portion, or all, of their vision when it floats into view. The vitreous is removed and the vitreous cavity is filled with silicon oil. In the case of retinal detachment, a gas bubble is placed in the eye. This surgery is not recommended for minor or annoying floaters. There is a long recovery time, and vision may not improve for three to six months after surgery. 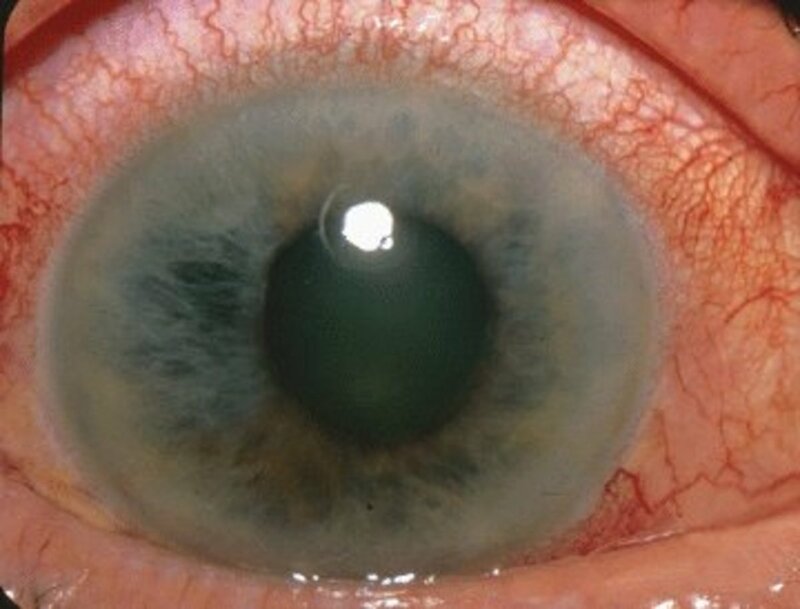 The procedure is also quite invasivel, carrying a large risk for infections such as endophthalmitis, a nasty infection that can cause permanent vision loss in less than 24 hours. 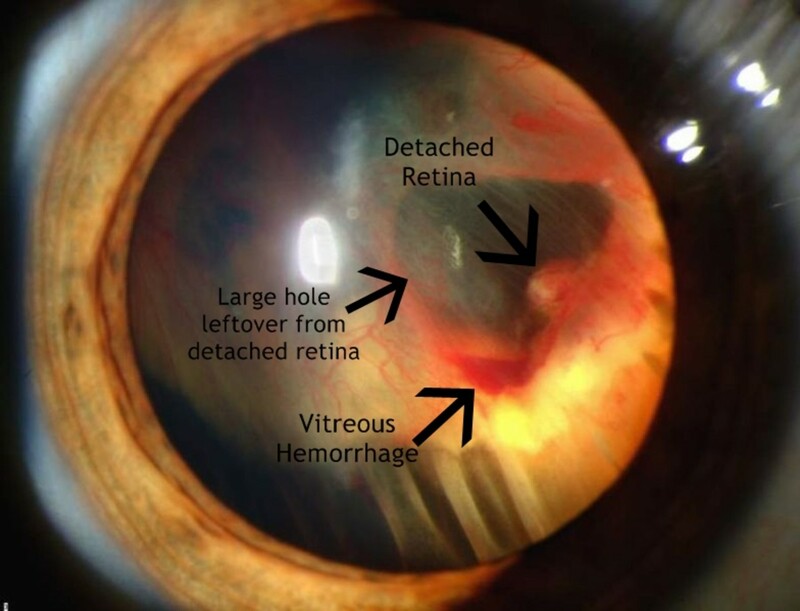 Most surgeons will only perform a vitrectomy on a patient with a vitreous hemorrhage or retinal detachment due to the surgery's invasive nature and risks of permanent vision loss. The second treatment for floaters is laser treatment. There is only one surgeon in the U.S. who has the experience to treat floaters with laser. He is also the one who developed the technique; his name is Dr. John Karickhoff, and he practices in Virginia. Dr. Karickhoff uses a YAG (Yttrium, Aluminium and Garnet) laser to vaporize the floaters. The technique takes about 20 minutes, and two treatments are usually needed. The most important thing to remember is if you have just one or two floaters and flashes occasionally, there is really no reason to worry. If you notice a sudden increase in floaters, your one or two floaters turn into considerably more, and you notice the flashes have become more frequent, you should see your ophthalmologist right away. Have you, or someone you know, ever had a posterior vitreous detachment, or a retinal detachment? That device with the probe is called a B-scan, it's basicaly an ultrasound of the eye that lets the doctor look at the retina and see if it is detached or not. 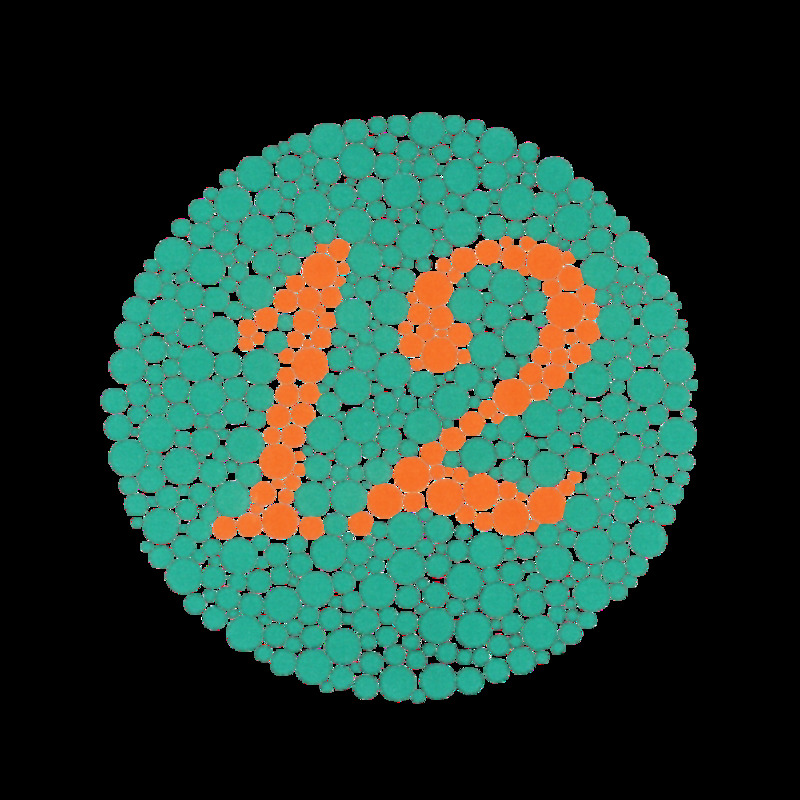 Most retina specialists don't do this as a routine procedure, so you must have had a PVD that the doctor thought might rip the retina, especially if he saw you every week for four weeks. They can be scary! Are you nearsighted (myopic) by chance? Thanks for commenting, and I'm very happy to hear your PVD is gone! Our sight is so precious! About two years ago, I was driving in the desert and I noticed something that looked like rain on the windshield. Except it was not raining. I went to an opthamologist the next day and he sent me to a retina specialist. The retina guy told me I had a PVD. I had to see him once a week for four weeks. He attached something to my eye that was connected to a computer and he probed my eye as I moved it around all the positions of a clock. After the fourth week of this, it went away and I have never been troubled since then. Although at first, I did get the flashes of light at night. 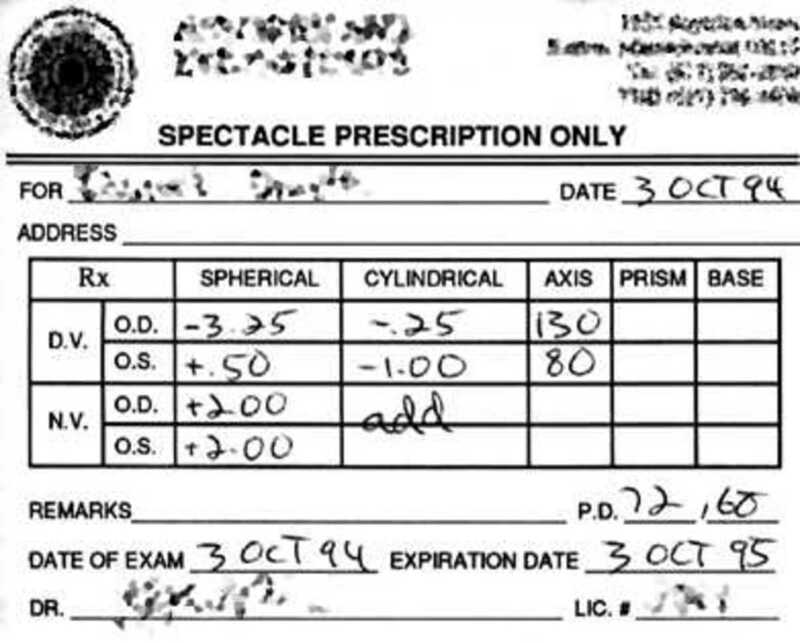 I had my eyes checked aboout two weeks ago and the doctor said there is not a trace of the PVD. I actually got it from wikipedia! I know it's a great image, simulated but still! It looked just like my floaters. The film on your eyes may be coming from dryness, not necessarily the floaters, although you can't rule them out. My hub on dry eyes might help if the film you see is hazy or cloudiness. Thanks for commenting, and I'm glad the hub reassured you a bit. The majority of my patients always started with, "I don't think I'm crazy but..." before they described their floaters. Thank you Au fait. Please let your friend know that if she ever sees a veil or curtain come over her vision to see an ophthalmologist right away, insurance or not. A veil or curtain could mean retinal detachment and if not treated can lead to permanent blindness. If your friend has any health problems like diabetes or high blood pressure, her symptoms could be a sign of something else. I would urge her to go to the doctor as soon as she possibly can. Most clinics worth their weight will work with a patient financially, all the eye clinics I've worked for were willing to make financial arrangements with patients especially in emergency situations. Thanks for commenting and sharing, and my best wishes for your friend. Great information and thanks for sharing it. This past year I had recently noticed the floaters, it's only occasionally, but it seems my vision has been more blurry since I noticed them, almost like I have a film on my eyes. 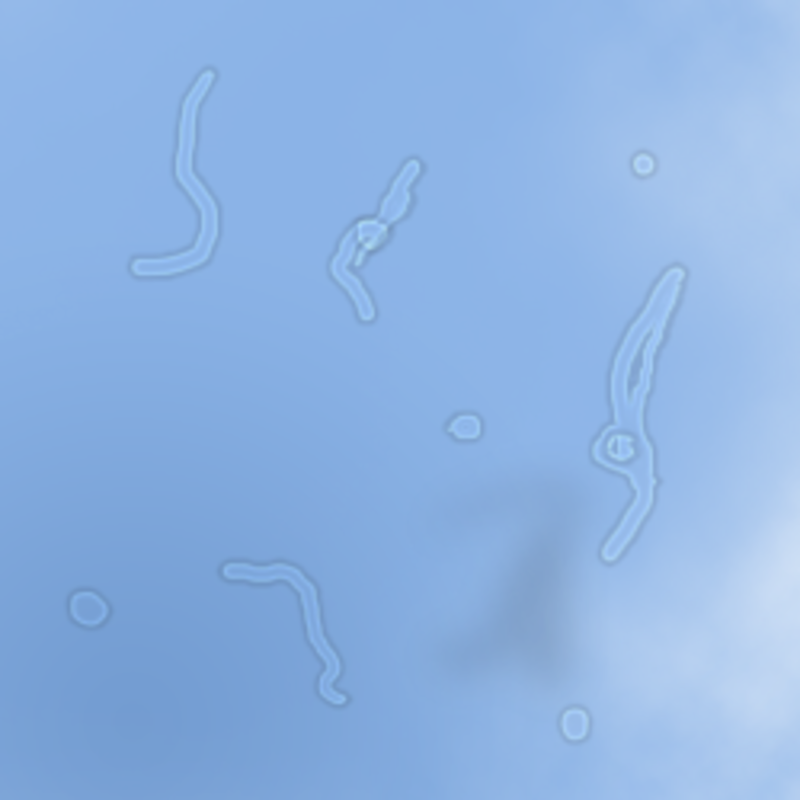 Maybe I'll set up an eye appointment now that I know the floaters are not just my imagination. Hope you don't mind me asking but I just gotta know where you got such a great picture of the floaters? Voted up and useful, and again thanks for sharing. Have a dear friend who has been noticing a lot of floaters, black cobwebs, black strings, etc., and a steak of light such as might happen when light reflects on a string of waterdroplets. She sees them only in her left eye and when she looks sharply to the left when it's dark. Her vision has gotten much worse in her left eye too. Anyway, this may be helpful to her, so I plan to share it. I've been trying to get her to see a doctor, but she's without insurance and not doing so well in our present economy, so this may give her some comfort since she can't afford to see a doc right now. Thanks for sharing your knowledge. Voting you UP, useful, and sharing with my followers. I play with my floaters too. Many times I have tried to brush hair out of my eyes, or smack a "mosquito" only for my husband to say "what's wrong with you?" lol. They can be quite distracting when readng, especially since I tend to chase them! Very interesting article. Like most, I have had the floaters forever; when I get bored, sometimes I play with them, making them move from here to there or try to get them to go in a pattern. The flashes, age-related, started a little over a year ago and became quite intense for awhile. The first one was when I was about to pull out on to a highway and I quickly looked left for oncoming traffic, it was night. All of the sudden, I saw this bright flash on my right, sort of a series of them as my eyes moved back and forth. It ended up feeling like a very small stream of water coming through the roof of the car and it was reflecting the light of the oncoming traffic; I actually tried brushing it away with my hand. After a couple of tries at this, it finally dawned on me what was happening ... really strange. Anyway, the doc took a good look and said I am getting old and get used to it, my retina is fine. The flashes are virtually gone now, but while they were around, they were quite entertaining, because I could control them almost at will. Generally speaking, no PVD's have nothing to do with ocular migraines. These types of migraines are, like all migraines, vascular in nature. It has to do with blood flow. PVD's are either from aging, being hit in the head with quite a bit of force, or an eye injury. I don't know your history so I can't say whether or not vigorous exercise, or flying would be detrimental, but feel free to email me a little about your eyes, and I will help in anyway I can. I should have said, can a ocular migraine be related to a vitreous detachment? I have a vitreous detachment and suffer from ocular migraines. Can a vitreous detachment be related to an ocular migraine? I'm worried that any jarring movements (ie jumping, exercising, lifting etc..) may cause further problems to my eye. I'm also worried about flying due to the pressure. It can be very difficult to tell the two apart, especially if the ocular migraine doesn't come with the actual pain. Flashes and floaters can also be part of the aura associated with migraines. Usually, however, once the vitreous has detached, the flashes subside, which may help to distinguish ocular migraines from PVD symptoms. But there exceptions to all rules. I have had vitreous detachments and occasional ocular migraines - I find it very hard to tell them apart. Do you get nauseated when you have the rainbows? Rainbows can sometimes be a sign of increased intraocular pressure. Sudden onset of increased pressure leads to rainbows, halos around lights, severe pain and nausea. If you have any of these symptoms call your ophthalmologist right away. It could also be an ocular migraine. Ocular migraines don't necessarily have to have the headache with them. I get rainbows in my eyes sometimes, and after they pass i get really tired. Great hub. I learned so much reading it.